Eye pins are essential beading supplies that you will use again and again in your jewelry-making projects. They are lengths of wire featuring a simple loop at one end, so you can easily create beaded links and dangles for your designs. The other end can be finished with loops and wraps. When you want to easily add more beads and charms to your projects, look to eye pins. You'll find them in high-quality sterling silver, along with other great materials. Browse different gauge sizes to find exactly what you need. When you're looking to give your jewelry designs an elegant look, it's only natural to think of a dangle. Use this gold-filled 1.5-inch eye pin to create the stylish look you're aiming for. Eye pins are great for creating a dangle with another dangle hanging off of it. This eye pin is simple to use in drop earring designs or with necklace chains to dangle crystals. The elegant gold coloring of this eye pin makes it sure to go with almost any design. Just slide on your favorite beads and make sure you have enough wire left at the top to make a simple loop to attach it to your piece. Hang beads and pendants on this perfectly golden eye pin. This gold-filled 020 0.75-inch eye pin is an essential beading supply that will enhance all your jewelry designs, from earrings to necklaces. The rich gold color is perfect for classic ideas and will complement any color palette. This gold-filled eye pin is consistent, beautiful, and easy to work with. Stock up on yours today. You can create custom components for your designs with this eye pin. This eye pin features a simple loop at one end. The other end can be finished with another simple loop or a wrapped loop. Eye pins are useful when you want to create beaded links and dangles, so make sure you keep these findings on hand. This eye pin shines with a beautiful golden gleam, perfect for using with other gold-filled components. Hang beads and pendants on this lovely golden eye pin. This gold-filled 020 1-inch eye pin is an essential beading supply that will enhance all your jewelry designs, from earrings to necklaces and more. The rich gold color is perfect for vintage ideas and will complement any color palette. This gold-filled eye pin is consistent, beautiful, and easy to work with. Stock up on yours today. Be prepared for any project with this eye pin. This eye pin features a simple loop at one end. The other end can be finished with another simple loop or a wrapped loop. Eye pins are useful when you want to create beaded links and dangles, so make sure you keep these findings on hand. This eye pin features a versatile silver shine and a flexible yet sturdy wire gauge. When you're looking to give your jewelry designs an elegant look, it's only natural to think of a dangle. Use this gold-filled 2-inch eye pin to create the stylish look you're aiming for. Eye pins are great for creating a dangle with another dangle hanging off of it. This eye pin is simple to use in drop earring designs or with necklace chains to dangle crystals. The elegant gold coloring of this eye pin makes it sure to go with almost any design. Hang beads and pendants on this perfectly golden eye pin. This gold-filled eye pin is an essential beading supply that will enhance all your jewelry designs, from earrings to necklaces. The rich gold color is perfect for classic ideas and will complement any color palette. This gold-filled eye pins is consistent, beautiful, and easy to work with. Use it to create beaded links, dangles, and more. Make sure your prepared for every design with the 1/20 14K rose gold-filled 1.5-inch 24 gauge eye pin. This eye pin features a thin 24 gauge that's easy to manipulate yet still is sturdy enough to offer a lasting hold. The simple loop at the end of the eye pin makes it easy to add this component to designs. Make a wrapped loop at the other end and attach even more beaded dangles or charms. This eye pin features a coppery color tinged with a hint of gold. Be prepared for all kinds of jewelry-making projects with this eye pin. 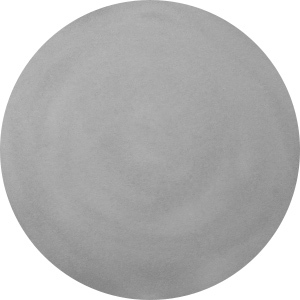 This sterling silver eye pin can be used to make custom pendants, links, and dangles. Add your favorite beads and finish the wire with a simple or wrapped loop. Then, you can easily incorporate your component into your jewelry designs. The beautiful sterling silver shine will work with any color palette and the 24 gauge size is thin and flexible. Make sure you have the right supplies on hand with this eye pin. Eye pins are ideal beading components for hanging beads, pendants, and other various uses. Simply create a simple loop on the straight end of the pin to attach it almost anywhere. You can also use this head pin to create links and dangles. The versatile silver shine will complement any style. For a modern look, try this Nunn Design component. This finding is shaped like an eye pin with a simple loop at one end. The other end features a flattened paddle. You can dangle this component from designs for a unique look. Layer several together for a fringe look. You can also decorate the paddle with a flatback, resin, or epoxy clay. This piece will bring contemporary style to your designs. 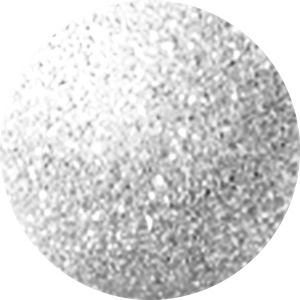 It features a brilliant silver shine that will add eye-catching beauty to your designs. Now you can dress up your favorite small beads with this eye pin. The thin silver eye pin features a tiny cap just below the eye that will rest in your bead when it is strung onto the pin. Play with new loops and designs to give your beads a professional polish. The shiny silver coloring will complement any palette nicely, so get creative. Hang beads and pendants on this perfectly golden eye pin. This gold-filled 020 0.5-inch eye pin is an essential beading supply that will enhance all your jewelry designs, from earrings to necklaces. The rich gold color is perfect for classic ideas and will complement any color palette. This gold-filled eye pin is consistent, beautiful, and easy to work with. Stock up on yours today. You can create custom components for your designs with this eye pin. This eye pin features a simple loop at one end. The other end can be finished with another simple loop or a wrapped loop. Eye pins are useful when you want to create beaded links and dangles, so make sure you keep these findings on hand. This eye pin features a brilliant silver shine and a flexible yet sturdy gauge. Be prepared for every jewelry project with the sterling silver 2-inch eye pin 22 gauge bulk pack. These eye pins feature a simple loop at one end. The other end can be finished with another simple loop or a wrapped loop. Eye pins are useful when you want to create beaded links and dangles, so make sure you keep these findings on hand. They feature a versatile silver shine and a flexible yet sturdy wire gauge. This bulk pack includes 100 eye pins. You won't run out of the beading basics with the 2-inch gunmetal-plated 24 gauge eye pin 100pc pack. These eye pins feature a simple loop on the end, so you can use them to make links and dangles. They're perfect for adding beautiful beads to designs in new ways. The thin and flexible gauge of the wire is great for use in earrings. With 100 pieces per pack, you'll always be prepared with these jewelry-making essentials. These eye pins are black in color, so you can use them to make brighter colors pop. This TierraCast 2-inch copper eye pin in 21 gauge wire is an essential element in working with copper-plated pewter. You can create custom components for your designs with this eye pin. This eye pin features a simple loop at one end. The other end can be finished with another simple loop or a wrapped loop. Eye pins are useful when you want to create beaded links and dangles, so make sure you keep these findings on hand. You can create custom components for your designs with this eye pin. This eye pin features a simple loop at one end. The other end can be finished with another simple loop or a wrapped loop. Eye pins are useful when you want to create beaded links and dangles, so make sure you keep these findings on hand. This eye pin features a versatile silver shine and a flexible yet sturdy wire gauge. Be sure to grab this special eye pin so your next design is full of richness and warmth. Head pins and eye pins are ideal beading components for hanging beads, pendants and other various uses. Simply create a simple loop on the straight end of the pin to attach it almost anywhere. Antique brass-plated beading components are top quality and a great economical alternative. The smooth satin finish of this eye pin will put the perfect elegant touch on any design. It's easy to create beautiful jewelry with the sterling silver 2-inch eye pin 22 gauge bulk pack. These eye pins feature a simple loop at one end. The other end can be finished with another simple loop or a wrapped loop. Eye pins are useful when you want to create beaded links and dangles, so make sure you keep these findings on hand. They feature a versatile silver shine and a flexible yet sturdy wire gauge. This bulk pack includes 50 eye pins. Enhance your style with the modern look of this Nunn Design component. This finding is shaped like an eye pin with a simple loop at one end, so you can easily add it to designs. The end features a flattened paddle shape, perfect for standing out in your style. Dangle this component from designs for a unique look. Layer several together to create fringe. Try decorating the paddle with a flatback or resin for a customized style. This piece is sure to bring contemporary style to your designs. It features a lovely golden glow, perfect for regal looks.